Join Dynamic Catholic on a powerful pilgrimage that only comes around once every 10 years. This is the most incredible performance you will ever see: the re-enactment of Jesus’ passion, death and resurrection. A 380-year tradition. An open-air stage with live animals. More than 2,000 actors, singers, and instrumentalists, all from Oberammergau. And it only happens once every 10 years. A major pilgrimage destination, the hilltop Shrine of Our Lady of Maria Plain is known for its stunning views of Salzburg and a miraculous painting of Mary and Jesus. You’ll find other paintings, statues, relics of St. Dionysios and St. Christina, and small chapels—perfect for personal reflection. The most famous landmark in Munich and one of the largest churches in southern Germany, Frauenkirche is the cathedral church for the Munich diocese. 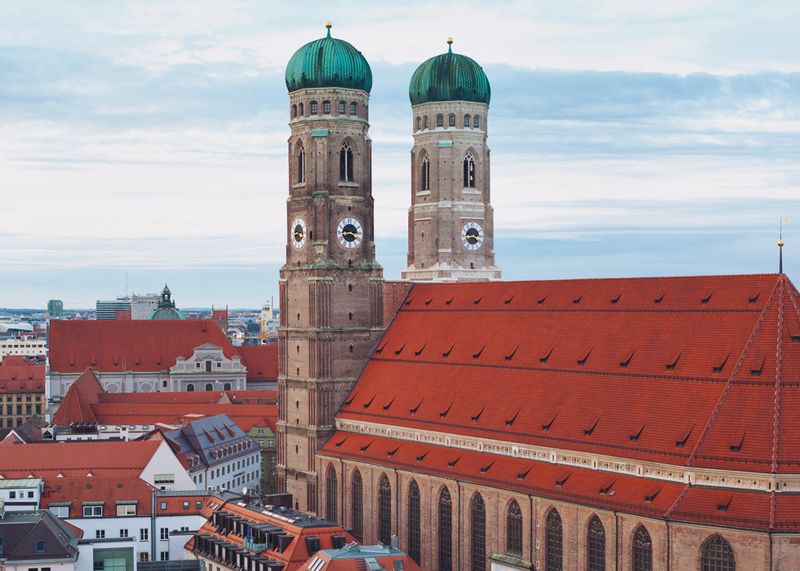 Despite its size and impressive domed twin towers, it’s Frauenkirche’s beauty, simplicity, and bell chimes that will captivate you. Depart the United States for your overnight flight to Vienna. Dinner and breakfast will be served on board. A creative haven for Mozart and Beethoven, Vienna is known for its music, palaces, high quality of life, and beautiful churches, shrines, monasteries, and cathedrals. After arriving in the largest city in Austria, you will be transported to your hotel. Unpack and relax before joining the other pilgrims for dinner. Celebrate Mass at St. Stephen’s Cathedral, the mother church of the Archdiocese of Vienna. See the Hofburg Palace, the Capuchin Church and its Imperial Crypt, the outstanding baroque architecture of St. Charles Church, and the Belvedere Palace. Drive around Ringstrasse (one of the most magnificent boulevards in the world), passing by the Vienna Opera, the Burgtheater, and more. Take a late-afternoon tour of Schönbrunn Palace. Following breakfast, drive along the Danube River through the rolling hills, vineyards, and fortresses of the Wachau Valley. In Melk, celebrate Mass at Melk Abbey, a massive baroque Benedictine monastery. After lunch, drive along the picturesque Austrian Lake District before arriving in Salzburg. Check in to the hotel just in time for dinner. After breakfast, celebrate Mass at the Shrine of Our Lady of Maria Plain. Tour the Mirabell Gardens and Getreidegasse, a busy shopping street where Mozart’s childhood home still stands. See Hohensalzburg Castle Mönchsberg mountain and the fountain in Residenzplatz square. Visit St. Peter’s Abbey, and enjoy a free afternoon. Dinner will be at the hotel. Visit to the Silent Night Chapel where “Silent Night” was written. Drive to the hometown of Pope Emeritus Benedict XVI to visit his birthplace and the church where he was baptized. In Altotting (“the Lourdes of Germany”), visit the Chapel of Mercy, one of Germany’s most celebrated shrines. See the chapel’s 750-year-old statue of Mary (the Black Madonna), which is credited with many miracles. After Mass, return to Salzburg. Take a picturesque ride through Bavaria to peaceful Oberammergau. On the way, explore King Ludwig’s castle and the Neuschwanstein, and celebrate Mass at the Monastery of Ettal. After arriving in Oberammergau in the afternoon, explore the quaint streets of this little town, home to the largest and most important Passion Play in the world. After breakfast and Mass, enjoy a free morning before we make our way to the theatre for the world-famous Oberammergau Passion Play. The play is approximately five and half hours long with a three-hour intermission, allowing you time to get something to eat and walk around. After breakfast, drive to Munich, the third largest city in Germany. Visit the famous Glockenspiel and the twin-towered landmark church, Frauenkirche. Continue down Ludwigstrasse, one of Munich’s grandest boulevards, to see historical monuments, the Residenz, and the Hofgarten. Celebrate Mass at Frauenkirche. Enjoy a free afternoon before our farewell dinner. After breakfast, say “guten tag” as the bus transports you to the airport for your flight home. *Please note that for a number of reasons beyond our control or because new opportunities emerge, the schedule and itinerary can change. Sometimes we need to step back from life and take another look at who we are, what we are here for, what matters most, and what matters least. Without the distractions of your everyday life, Austria and Germany provide a perfect opportunity to hear the voice of God. A pilgrimage is a wonderful opportunity to expand our knowledge and experience the world. Explore Vienna and Munich. Eat authentic German cuisine. 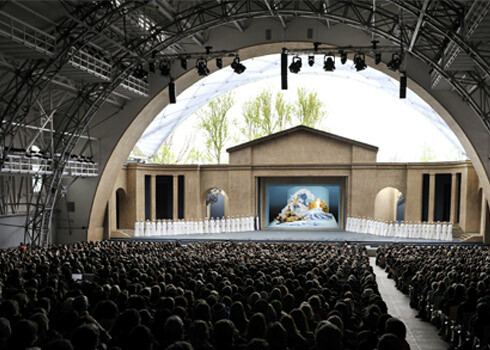 Experience the world-famous Oberammergau Passion Play. And see life through the eyes of people who call Austria and Germany home. Whether you are making this pilgrimage with your spouse, best friend, or by yourself, you will meet an incredible group of people who are passionate about their faith and the Dynamic Catholic mission. Make memories and create lifelong friendships with people from across the country.